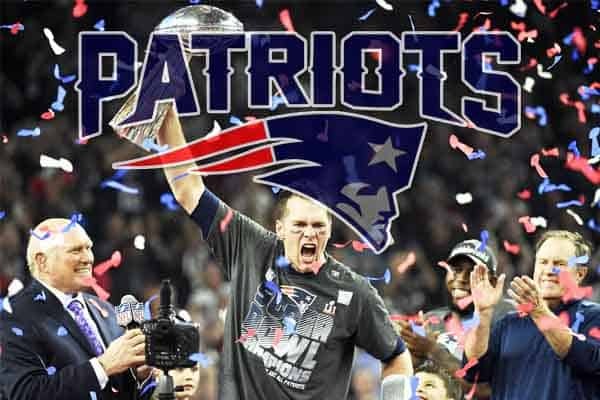 At this point, you don’t even need to have hindsight be 20/20 to see that the Tom Brady and the New England Patriots have a great chance to win Super Bowl 54 in 2020. And after winning 13-3 against the Los Angeles Rams in Super Bowl 53 last night, the amount of betting action on the odds for the Patriots gave the two-decade-old dynasty the edge on the futures betting market. The record-tying six-time champion opened as the co-favorites next year, alongside the runner-up Rams, at +700. However, after less than a full day of action from NFL handicappers, the Patriots became the clear favorites to win Super Bowl 54 and back-to-back titles early on Monday. Bovada posted the odds immediately following the results from Super Bowl 53, and only the top seven teams had any shifts at all, and likely won’t see another shift until potentially the 2019 NFL Draft on April 25. The Patriots fell by -50 in less than a day after beating the Rams to become the odds on favorite to win Super Bowl 54. The odds for the Indianapolis Colts decreased by +100 and the Chicago Bears saw their odds go up by -100. Below you can find Bovada’s current and opening odds for Super Bowl 54, which will be played on Feb. 2, 2020, at Hard Rock Stadium in Miami Gardens, Florida.